Last weekend, some friends and I visited the Canadian National Exhibition (CNE) at Exhibition Place. I’ve lived in Toronto for four years but had never been, so it was definitely time to experience “The Ex”. We spent the whole day and explored most of its grounds and while I had fun, I think I could wait another four years before returning. This huge event features live music, midway rides and carnival games, a market, celebrity chef demos and even a cat show, but it’s famed for the ridiculous food creations people flock here to try. In 2013, the big hit was the cronut burger, but some people got more than heartburn after trying it. We made it a mission to try some of the unique offerings but in the end, we concluded the food isn’t all it’s hyped up to be. 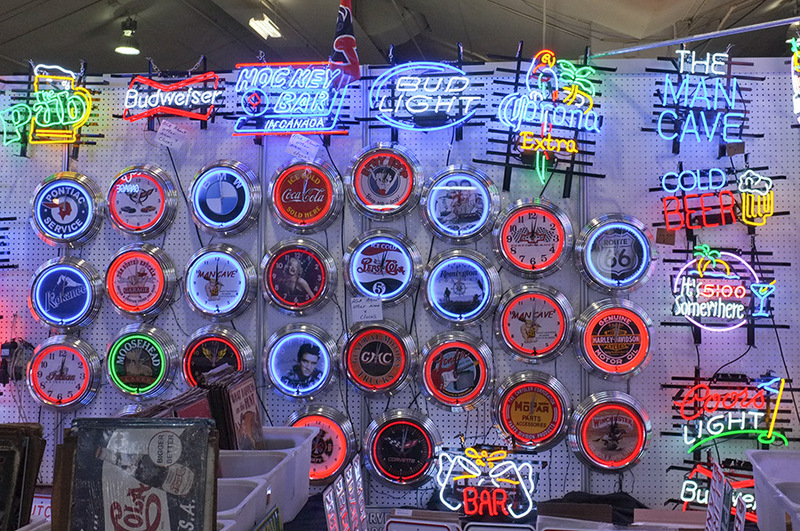 We met up at the main gates and poked around a market of vendors selling kitschy items like neon signs that would be perfect in man cave, maple syrup products and cheap jewelry. We moved on to a farm exhibit with alpacas, sheep, horses, cows and pigs, but it wasn’t a cute petting farm. Lethargic horses stood by fans to cool off while sows lay under heat lamps in cages that prevented them from standing up – not the kind of cheerful family fun I was expecting. 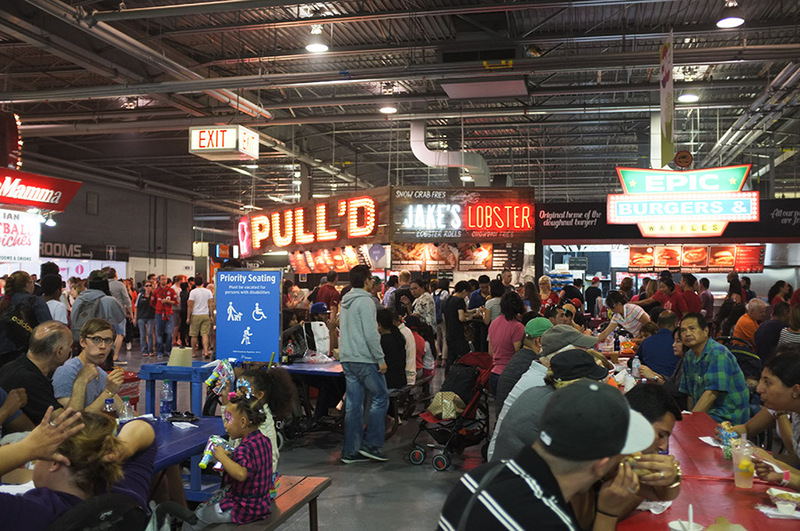 Then, it was time for the food building, a massive hall full of different vendors from well-known chains (Pizzaiolo, Pita Pit) to those that clearly exist to satisfy the appetite of the CNE visitors (Old Fashioned Lemonade, The Funnel Cake Shop, Coco’s Fried Chicken). I grabbed a pulled pork sandwich from Pull’d and a friend ordered their pulled pork poutine. We were disappointed in the lack of meat and lackluster fries. 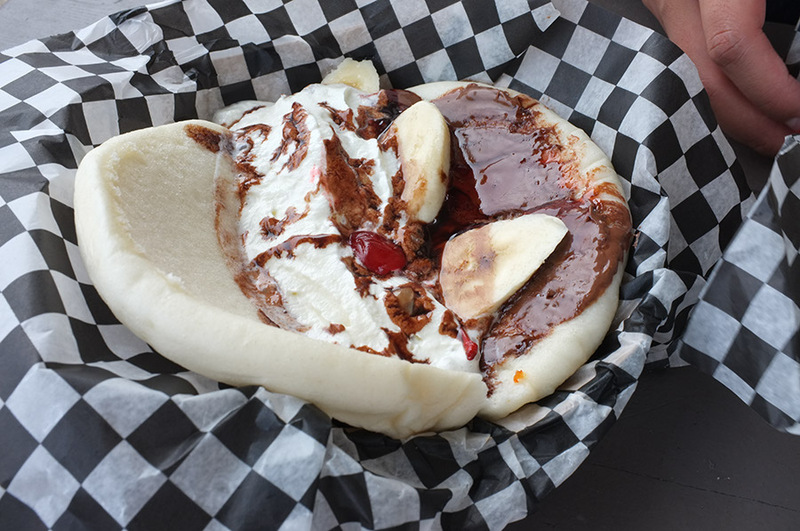 Another girl chose a fish bao, which was actually okay, and the sweet desert version, a baonana split, which melted into a slippery mess. Another girl came back with the deep-fried red velvet Oreos, which tasted exactly how you’d imagine – sickly sweet and oily. However, the deep-fried Mars Bar was a hit. Pulled pork poutine with perogies. Now that’s a mouthful! After letting our greasy feast digest, we paid $22 for 22 ride tickets. Each ride cost about 5 or 6 tickets and while some rides were worth it, I felt the haunted mansion really should have been free. However, the rides were generally a lot fun and a good excuse to let out a few screams – just not on the Haunted Mansion. Yawn. We tired of rides so we headed to another pavilion with more vendors and caught a glimpse of a celebrity chef demonstrating how to make a peach pie. We poked around in an international market that had booths from every culture you could think of and then passed through a cat show, full of energetic Bengal kittens begging to be played with. Just outside was a food truck area and we discovered that’s where the much more appealing food is, from some of Toronto’s best and well-known food trucks. You could even sip on local craft brew, which, at that point in the day, was a welcome treat. We wrapped up our day on the popular Sky Ride that transports you across the length of the grounds at a leisurely pace and finished with a splash on the Niagara Falls log flume. And right before we left, we got another order of greasy, fried food: spicy pickles and Tiny Tom donuts. 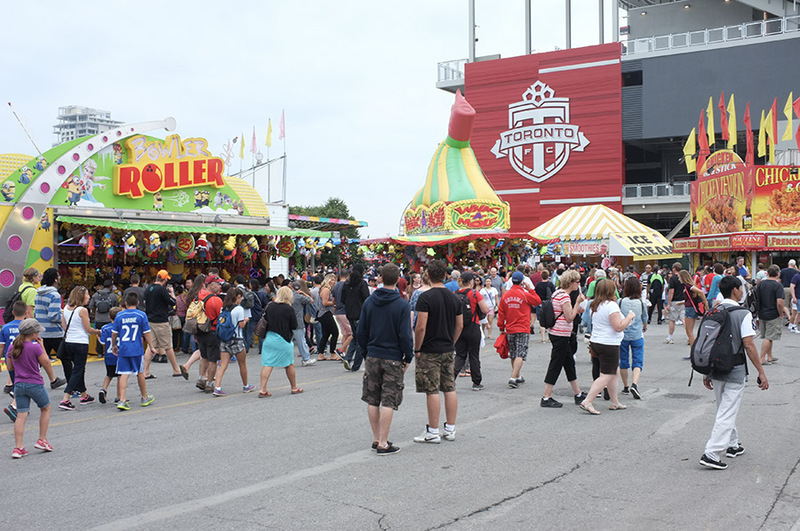 Whether the food’s good or not, eating is just what you do at the CNE.